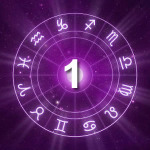 The most popular Astrology module I run (!!!) this is the fourth and last module in the Intermediate course. ‘The Astrology of Relationships’ explores the fascinating and complex subject of relationships and how Astrology can throw light on so many different aspects of a relationship. dynamic aspects – the effects of transits and progressions on the relationship. This module is suitable for those who have a good grasp of natal chart interpretation (Foundation course) and dynamic chart interpretation (Intermediate levels 1, 2 & 3). Module fee AU$597 includes Intermediate 4 manual with comprehensive notes and charts.